Imagine crisp air, perfect blue skies, gushing waterfalls, pristine lakes and forest as far as the eyes can see. Sound perfect? I knew you would be interested! 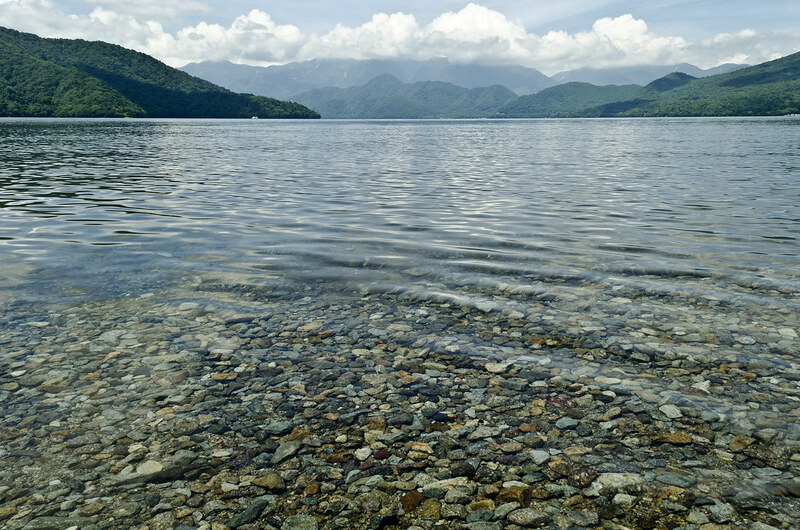 If you are looking for the perfect romantic getaway in a place you certainly have never heard of, look no farther than Nikko National Park, and start planning your trip. This gem is tucked gently away from the mega-city of Tokyo, hiding away just north in Tochigi Prefecture. With a little bit of everything for any type of traveler, Nikko is the perfect spot for a romantic getaway for any sort of couple. There are dozens of private onsens, Ryokans, resorts, and cabins to choose from, and enough nature to explore for months. Whether you have two days or two weeks to explore…. Due to it’s tucked-away location, it’s not hard to find locations where you might not see anyone at all. Although Nikko is well-known in Japan as a getaway-location, it’s still quite off-beat for a first-time tourist to Japan. Approximately 125km from Tokyo metropolis, it’s shocking juxtaposition is welcoming in comparison to the throngs of people encountered every minute in that area. Nikko is serene, quiet and surprisingly empty. If animals in captivity just aren’t your thing, I hope wild ones are. Get thisclose to wild macaque monkeys, including their adorable babies. It’s drop-dead gorgeous up there. Snow is still on some areas of the mountain until April, and the air is clean and fresh. The clear water of Lake Chuzenji has rentable paddle-boats adorably shaped like swans, and the sunsets are some of the most vivid and warm I have ever experienced in my life. Enough said. If you haven’t figured out by now, I’m a bit of an adrenaline addict. Lucky for me, so is my partner. If hanging out in the onsen all day is your kind of retreat, that’s great! But if you want something to get your heart pumping a bit, there are numerous seriously-cool-gotta-do-that-again hikes around the area. We are talking volcanoes, giant waterfalls, limestone caves…the works, folks! And look at that, Nikko even has a wonderful website dedicated to its awesomeness. Check out the hikes and sights here. The ultimate Japanese relaxation experience. Dip into natural hot spring baths, saunas, and steam rooms, and melt all your worries away. Sit outside and enjoy the mountain air, while literally blowing off some steam. The mineral water baths are notoriously good for your skin, and there are many options to choose from. Rent out a private onsen for a very romantic experience, or enjoy the roomier bath houses (with accompanying outdoor locations). Don’t forget to grab a cup of matcha tea to finish! Yes! You guessed it! Nikko is super cheap to visit. A 4-star hotel will run you around $80-100 USD per night, and you can find lakeside Ryokans for similar, or cheaper prices. Most nice hotels and Ryokans offer private onsens and other lounges, and Ryokans often offer traditional Japaneses breakfast and other ammenities overlooked by western standards. Given the option, I would definitely opt for a stay at a traditional Japanese ryokan. Sold Yet? I thought so! If you have any questions, be sure to comment them below!